Teaching should never be color-blind. In a world where many believe the best approach toward eradicating racism is to feign ignorance of our palpable physical differences, a few have led the movement toward convincing fellow educators not only to consider race but to use it as the very basis of their teaching. This is what education activist and writer Pamela Lewis has set upon to do in her compelling book, Teaching While Black: A New Voice on Race and Education in New York City. As the title suggests, embracing blackness in the classroom can be threatening to many and thus challenging to carry out in the present school system. 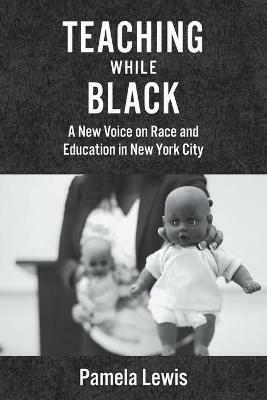 Unapologetic and gritty, Teaching While Black offers an insightful, honest portrayal of Lewis's turbulent eleven-year relationship within the New York City public school system and her fight to survive in a profession that has undervalued her worth and her understanding of how children of color learn best. Tracing her educational journey with its roots in the North Bronx, Lewis paints a vivid, intimate picture of her battle to be heard in a system struggling to unlock the minds of the children it serves, while stifling the voices of teachers of color who hold the key. The reader gains full access to a perspective that has been virtually ignored since the No Child Left Behind Act, through which questions surrounding increased resignation rates by teachers of color and failing test scores can be answered. Teaching While Black is both a deeply personal narrative of a black woman's real-life experiences and a clarion call for culturally responsive teaching. Lewis fearlessly addresses the reality of toxic school culture head-on and gives readers an inside look at the inert bureaucracy, heavy-handed administrators, and ineffective approach to pedagogy that prevent inner-city kids from learning. At the heart of Lewis's moving narrative is her passion. Each chapter delves deeper into the author's conscious uncoupling from the current trends in public education that diminish proven remedies for academic underachievement, as observed from her own experiences as a teacher of students of color. Teaching While Black summons everyone to re-examine what good teaching looks like. Through a powerful vision, together with practical ideas and strategies for teachers navigating very difficult waters, Lewis delivers hope for the future of teaching and learning in inner-city schools.